PLAYING Kilkenny in an All-Ireland hurling final is where every hurler wants to be. That’s the view of Clare’s star forward, Darach Honan, chosen as the man of the match in each of Clare’s last two games in this campaign. 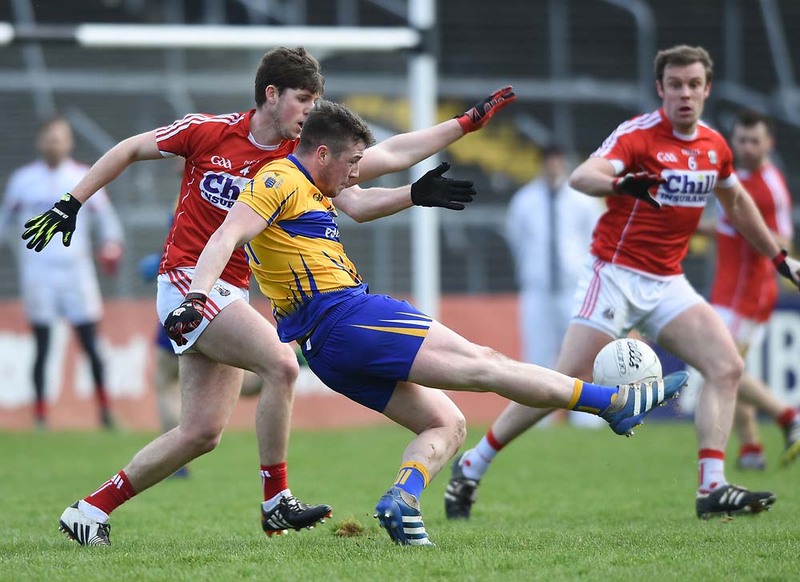 However, the skilful Clare forward who has contributed some truly memorable goals on the way to the All-Ireland final is one of those players listed as a doubtful starter for this week’s final having suffered a hamstring strain when helping his club to victory over Scariff last week. Speaking ahead of Sunday’s final, the Clonlara teenager said that the semi-final win over Galway was the highest standard of game that he had played in to date. “It was played in the right spirit and it made for a great spectacle. It was a very sporting contest. There were great players on both sides,” he said. What is the reason for Clare’s excellent form in this campaign? “Well, we have a big panel of 38 and we play games at training most evenings. There is a very high standard in those games and one would always be looking over his shoulder, such is the competition. Our mentors don’t hesitate in changing. The subs that came on the last day made a huge difference – Conor Tierney and Conor McGrath in the forwards. You would always be motivated by the others in the panel,” he replied. With regard to Clonlara’s successes of recent times, Honan admitted that he “could not have imagined it being as good. We always had a good team in Clonlara, competing at intermediate and senior B level. About five years ago, it went down a bit but three years ago, it picked up. We have put in a big effort. He is delighted to have so many from Clonlara on the panel. “We have good craic going up to training. We have grown up together and we are all fairly good friends. I have heard a lot about the Clare teams that my father played in. There were always one or two from Clonlara involved but to have six is great,” he said. Darach has heard both from supporters and from his father, Colm, about the great contests between Clare and Kilkenny in the ‘70s when Clare won two national league titles beating Kilkenny in the finals. “I am looking forward to another great game between Clare and Kilkenny on Sunday,” he said.